Do you have questions about The City of Ryde Council kerbside rubbish collection? Here is everything that you need to know! 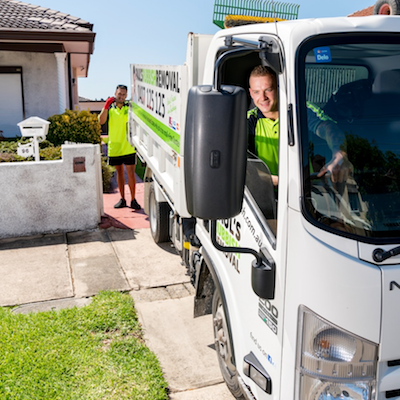 The City of Ryde Council has dedicated 5 free rubbish collection for residents each year. These rubbish collection dates will need to be booked and arranged with the City of Ryde Council over the phone or online to provide more details. Due to the high demand during peak seasons, bookings must be made at least ten days prior to the collection date so that you are able to receive stickers to label your waste. Unlabelled household waste on the nature strip can be considered illegal dumping which can lead to penalties and hefty fines. When leaving your junk out on the side of the road for the City of Ryde Council to pick up, you should only do so on the day before the collection date. No earlier and no later. Here are some simple tips that you should follow when preparing for City of Ryde Council to collect your kerbside rubbish. An important aspect of the City of Ryde Council kerbside pick up is that your items do not fall under one of the following categories. If they do then you will not be able to use the council rubbish pick up services for it. Which suburbs does the City of Ryde Council cover? For over 10 years, we are proud to provide Sydney residents with the cheapest and complete rubbish removal services. Paul’s Rubbish Removal will accept nearly all types of household junk that your local council will not normally accept. Don’t wait a month, a week, or even a day to get your rubbish removed from your home. Get it removed today with Paul’s Rubbish Removal. Our same-day services mean that we can send our nearest team to your site immediately to get started on the disposal. We operate on a 24-hour basis to provide you with the most convenient method of rubbish collection. Best of all, our team will hand remove your rubbish from anywhere on your site. Simply call us on 0407 125 125 for an obligation-free quote today!